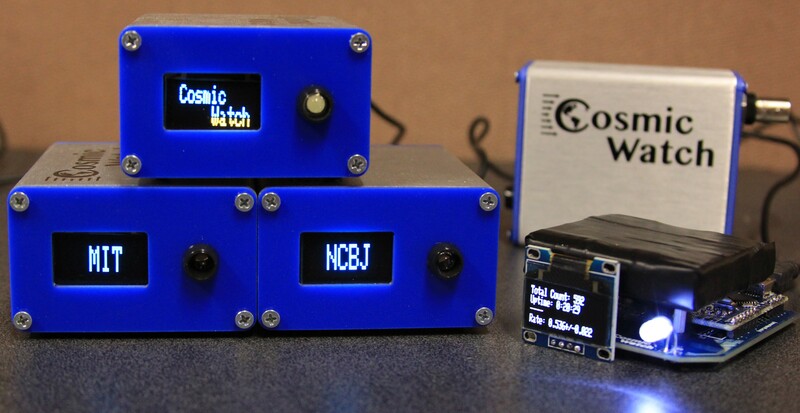 The CosmicWatch Desktop Muon Detector is an MIT based undergraduate-level physics project that incorporates various aspects of electronics-shop and machine-shop technical development. The desktop muon detector is a self-contained apparatus that employs plastic scintillator as a detection medium and a silicon photomultiplier for light collection. These detectors can be battery powered and used in conjunction with the provided software to make interesting physics measurements. The CosmicWatch Desktop Muon Detector consists of a 5 cm×5 cm×1 cm slab of solid plastic scintillator instrumented with a silicon photomultiplier (SiPM) to detect scintillation light emitted from charged particles as they pass through the scintillator. The signal from the SiPM is sent through a custom designed printed circuit board (PCB) which shapes the signal such that a micro-controller can measure the time and amplitude of the SiPM signal. We use an Arduino Nano to measure the pulse amplitude and record the count number, time of the event, pulse amplitude, and detector dead time. The threshold for a signal from the SiPM to trigger the data acquisition can be tuned in the provided Arduino software. The detector can be powered by a mini-USB to USB connector. The participants working on the project will become proficient in soldering and populating printed circuit boards, trouble shooting electronics using oscilloscopes and waveform generators, and understanding the basic principles behind particle detection. Beyond this, participants will also gain experience using the programing language Python and reading/writing code for Arduinos. The first day of the program will involve learning about cosmic rays and particle detectors. They will then move to the lab and build a complete detector. This will involve learning about surface mount technology, learning to solder, and testing the electronics. The second day will be dedicated to building a second detector in the morning, then using both detectors to begin making measurements. During the final day, we will begin working with the data, which will include writing a python based plotting program. The only recommended equipment for the project would be a laptop (preferentially MAC or Linux based, but we will be able to set things up on Windows as well, if needed). There are no serious safety concerns, however, students will work with radioactive sources, and soldering irons. The material cost of each detector is approximately $100. If the participants would like to keep the detectors, they will be required to pay for the material cost. We will be working in a lab at the Wisconsin IceCube Particle Astrophysics Center (WiPAC) in Madison Wisconsin. The project currently consists of myself (Spencer Axani), Katarzyna Frankiewicz from the National Center for Nuclear Research, and Prof. Janet M. Conrad from MIT. I am a 3rd year graduate student at MIT and have been developing this project for about two years. Prior to graduate school, I obtained two degrees, one in Power Engineering Technologies from the Southern Alberta Institute of Technology and the other from the Honors Physics program at the University of Alberta. 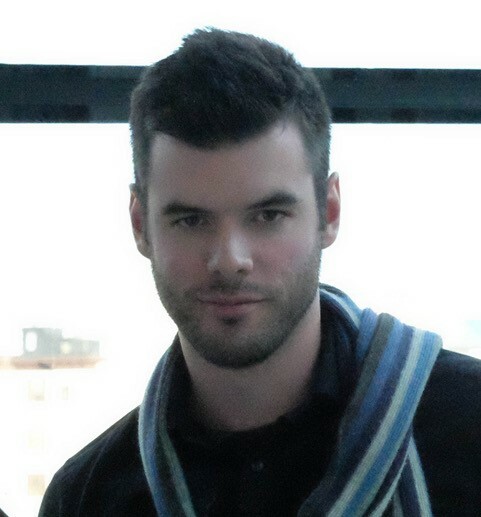 Over the course of my research career, I have primarily focused on neutrino physics and have worked on projects such as SNO+, IceCube, IsoDAR, and KPipe. My current research involves searching for a fourth flavor of neutrino, known as a sterile neutrino, using the IceCube detector. While most of my time now involves working with software, I have worked with a lot of different hardware and am very experienced in the lab or machine shop. Spencer N. Axani, MIT Department of Physics, 222 W Washington Ave. #500. Email: saxani@mit.edu. Phone: 608 572-8426.